Yesterday, I finished reading the latest new canon novel in the Star Wars universe, Phasma. One of the new “Journey to The Last Jedi” books, the novel is very much in line with previous books that we’ve had in the run-up to The Force Awakens back in 2015, providing no real meat for the rumour-hungry, but just teasing tidbits for the new film. The book takes place somewhere around the same time period as last year’s Bloodline, with most of the book forming a frame story around Phasma’s past on the post-apocalyptic world of Parnassos. We meet Captain Cardinal, a stormtrooper tasked with training the children taken into the First Order’s ranks, as he interrogates the Resistance spy Vi Moradi. Moradi has been researching several high-ranking First Order personnel, which makes her the exact tool Cardinal needs to take down his hated rival, Captain Phasma. Moradi’s tale is basically Phasma’s life, and is told through several extended sequences that are lightly dusted with a return to the interrogation. We see Phasma encounter General Brendol Hux after his ship crash-lands on Parnassos, and their trek across the desert to find it and thus salvation from the harsh world. Once Cardinal thinks he has enough information that he can discredit Phasma as the poster-child for the First Order, he confronts first Armitage Hux, and then Phasma herself, with dire consequences. I have to say, I was not really a fan of this book. For the most part, it felt like Mad Max, not Star Wars, and once I was done with it, having had some time to reflect, I really don’t think this is the sort of backstory that I wanted for Phasma. Sure, I’m not really sure what I did want, but I don’t think it would have been this. This is really turning into a theme for me with these new canon novels of late. I think it boils down to the fact that we’ve had a number of years of new canon material now, and yet the universe still doesn’t exactly feel like a cohesive place, really. Part of this has to do with the fact that we’re still waiting for the new trilogy to resolve, of course, but I’ve read a good number of these things now, and I don’t feel at home within the universe as I used to. I don’t feel that I know anybody, or anywhere, or, really, anything. Now, don’t get me wrong, the story is a fine tale, and the concept of the framing device is quite interesting within Star Wars literature generally. My biggest gripe, I suppose, is that there’s still that air of expectation around the novel as there was with Aftermath; for sure, Phasma seems to be a major player in the next movie, so a book about her origins is bound to be a big-ticket item. There are some interesting slants on the First Order that we get later in the book, as well, but in the main this is the tale of how Phasma met Brendol Hux, and how she escaped her origins on a backwater world. Mad Max fans will possibly enjoy the feel, but even then, any story that involves a foot-slog across a desert is bound to get tedious after a while. If they stay true to form, we’ll get a novel next spring/summer like Bloodline, which will vindicate the publishing programme and fill us in on several of the details that couldn’t be discussed before the new movie hits. Which leaves me thinking – why not just publish different stories in the run-up to the new movies, if they’re not going to give us anything really meaningful? Well, this has really made me very excited for the new Star Wars movie! I’ve watched this thing through twice now, and while overall I don’t think it tells us anything we hadn’t already surmised, I am nevertheless really interested in where the story is being taken for the middle arc of the trilogy. Sure, we have Rey training with Luke, and they seem to be going on some kind of journey of discovery, stuff that we’d pretty much surmised from the teaser trailer. But this whole business with Rey and Kylo Ren seeming to team up? 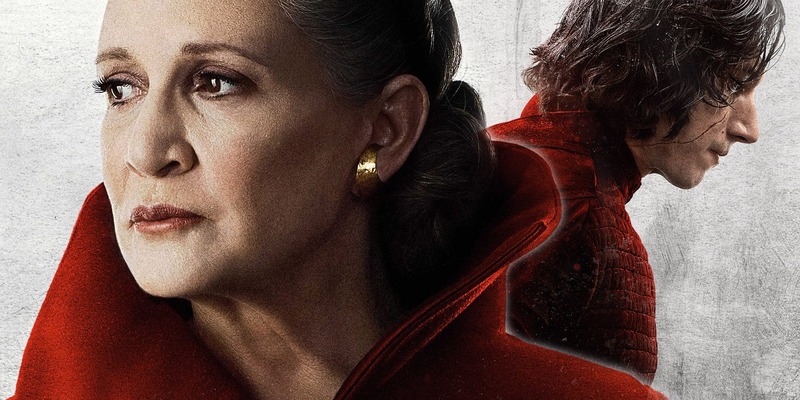 Is Kylo Ren going to kill Leia? 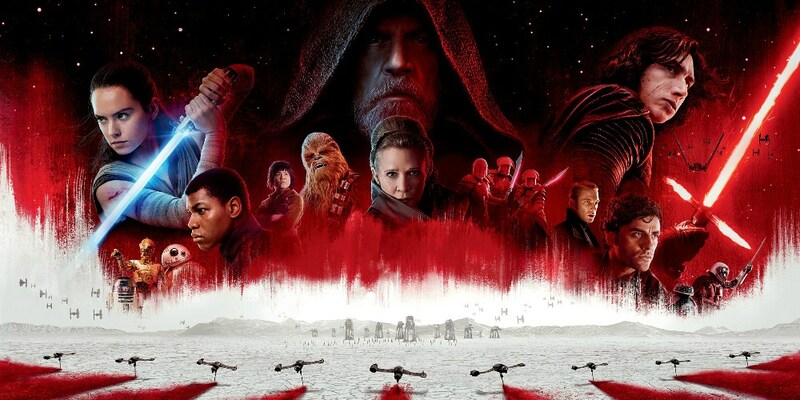 What’s up with Finn, is he back with the First Order, or is it some kind of ruse? That fight with Phasma looks like it could be pretty epic, but could it lead to his return, somehow? 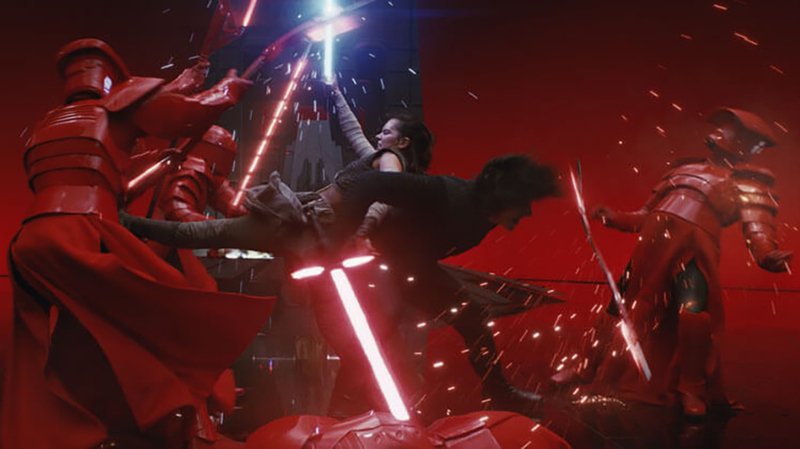 I purposefully avoided everything except the trailers for episode 7, and found myself enjoying the film more as a result. I’m therefore doing the same again, so I’m hoping that I’ll walk out of the cinema on 15 December feeling just as fresh as a result!